2018 is centenary of the end of the Great War. This piece was written for a magazine published in England about Indian military history. I tried to highlight participation of areas and units of future Pakistan army in that epic struggle to honor countless who served all over the globe. “We know that it was not strategy nor tactics nor leadership that really gained us the victory, but the spirit of sacrifice”. General Sir William Birdwood’s address on unveiling of the Punjab Frontier Force (PIFFER) Memorial at Kohat October 23, 1924. It is impossible to narrate the story of the Indian Army in the Great War on ethnic or religious lines as some modern observers are tempted to do. It is equally futile to attempt a “revisionist” narrative through the nationalist lens of modern India and Pakistan. What were then Indian soldiers of many different religious and ethnic backgrounds fought in the Great War under their regimental standards as imperial British subjects of the Indian Empire on a global battlefield. In 1947, British India and its armed forces were divided between the two new nations of India and Pakistan. Punjab Province, which had provided the bulk of the old regular Indian Army, was carved up with a few strokes of the cartographer’s pen. Ambala and Jullundur divisions and Amritsar and Gurdaspur of the Lahore division became part of India. Punjabi Muslims, Muslim Rajputs and Pathans of the North West Frontier Province (NWFP) became Pakistani citizens while Sikhs, Jats, Dogra and Rajput Hindus became Indian citizens. All of this cut across the traditional structures and allegiances of the old Indian Army, and the Great War experiences of men such as Subedar Major Parbhat Chand, a Hindu Dogra, who won a Military Cross fighting under the colours of the 59th Scinde Rifles, which would later become the 1st Frontier Force Regt. of the Pakistani Army, the many Punjabi Muslim sepoys who served under the colours of the 125th Napier’s Rifles and 101st Grenadiers which were allotted to India in 1947, and medical officers Capt. Indrajit Singh of the 57th Rifles and Major Atal of the 129th Baluchistan Infantry who died alongside their Punjabi Muslim and Pathan comrades. While these and other factors discourage any attempt to interpret the conflict in light of the later partition of the subcontinent, there is no reason why the war-time experience of what is now Pakistan, especially the Punjab, should not be studied in the same way that, for example, the impact of the war on the north of England and regiments raised there are examined for insights. India raised a volunteer army of 1.4 million men in the First World War; by November 1918, the Indian Army had 413,000 soldiers on active duty. The Punjab sent 282,000 recruits to the army (156,000 Muslims, 63,000 Hindus and 62,000 Sikhs) during the course of the war. In October 1916, 10,000 drivers for transport units were recruited in Punjab in just 18 days. This disproportionate contribution of men reflected how the Punjab had long been the principal recruiting ground of the Indian Army; of the army’s total strength of 180,000 men on the eve of the conflict, more than 100,000 soldiers came from the province. Muslims formed 51% of the provincial population, Hindus 36% and Sikhs 12%. Punjabi soldiers were recruited from princely states as well British-administered districts in the Punjab. The NWFP, also within modern Pakistan, was also a major recruiting ground for the Indian Army before 1914. Traditionally, the Indian Army only recruited from certain classes and districts of the Punjab and the NWFP because of the notion of “martial races” which claimed that the men of certain communities were natural soldiers for historical, ethnographic, social and other factors while other groups were unsuited to military life and war. Sikhs, Punjabi Muslims, Jats and Dogras from the Punjab and Pathans from the NWFP were considered among the finest of the martial races. Even within these races, however, the military deemed that only men from particular subgroups and regions made suitable recruits while their cousins or neighbours might be seen as lacking military qualities. Just a few districts of what is now Pakistan provided the lion’s share of recruits for the army. In Punjab, Rawalpindi, Jhelum, Attock, Shahpur and Gujrat districts of the Rawalpindi division provided the most recruits while Mianwali district sent very few men to the army. On the eve of war, over 28,000 men from the Rawalpindi division were serving in the army. In contrast, Multan division, comprising Montgomery, Lyallpur, Jhang, Multan, Muzzaffargarh and Der Ghazi Khan, had less than 500 men in the army. There was great variation even within the districts and ethnic groups from which the army recruited. In Gujrat distrist, Kharian Tahsil (subdivision) produced large numbers of recruits during the war while Phalia Tahsil in the same district sent very few. In Shahpur district, Khushab Tahsil sent large numbers of men while Bhalwal Tahsil did poorly. In Mianwali district, a single group of Bhangi Khels provided almost all of the recruits while very few Niazis in the same district opted for a military career. The Ghakkars of Jhelum and the Sattis of Rawalpindi sent 90% of their military age men to the army while just 20% of military age men of the Gujars of Rawalpindi and the Joyas of Shahpur served during the war. All of these facts are worthy of further, detailed historical study. The Pathans were considered an outstanding “martial race” and highly prized as recruits while the Pathans considered soldiering as an honorable profession. This combined ‘push-and-pull’ resulted in over recruitment of Pathans. The NWFP had five British administered districts, but just three of them, Peshawar, Hazara and Kohat, provided most of the region’s recruits. Tribesmen living in the trans-frontier area, who were classified as British protected subjects and administered indirectly by a small cadre of British officers of the Indian Political Service (IPS), also served in the Indian Army. These independent tribes were known more for their frequent clashes with the army, and the countless military expeditions sent against them. It was far less well known that large numbers of tribesmen flocked to the regimental colors of the same army or proudly served in paramilitary forces such as the Frontier Constabulary and Frontier Corps. In proportion to its population, the NWFP sent more military-aged men to the army during the Great War than any other province of India. It literally mobilized the flower of its youth with 85,000 men out of a population of 177,000 men of military age serving in the army and paramilitary forces. More than 96% of these men served as combatants. Some groups in the NWFP made contributions that were striking even by the high standards of the province. The sanctioned strength of the Khattak Tribe in the army was 23 companies of 114 men each for a total of 2,622, however, 3,400 Khattaks were in the ranks by 1918. Many of the Indian troops sent to the European, Middle Eastern and East African theaters were from the Punjab and NWFP. Many illustrious regiments hailed from these regions and added to their reputations in the global conflict. The 129th Duke of Connaught’s Own (DCO) Baluchistan Infantry (now 11 Baloch Regiment in the Pakistani Army) was an all Muslim battalion on the eve of the war consisting of six Pathan and two Punjabi Muslim companies. The six Pathan companies were all trans-frontier Pathans – three Mahsud, two Adam Khel Jowaki Afridis and one Mohmand. It fought in France and later in East Africa, suffered heavy casualties and received repeated replenishments from sister battalions. Its depleted ranks were replenished with Mahsud and Wazir Pathans of the 124th Duchess of Connaught’s Own Baluchistan Infantry (now 6 Baloch Regiment) and Orakazai Pathans and Baluchis of the 127th Baluchistan Infantry (now 10 Baloch Regiment). More than 4,000 men served under the 129th’s colours and it suffered more than 3,000 casualties. The 40th Pathans (now 16 Punjab Regiment) was originally an all Pathan regiment. In 1900, its class composition was changed to four companies of Pathans (two Orakzai, one Afridi and one Yusufzai), two of Punjabi Muslims and two of Dogras. The battalion was decimated in France losing almost all of its British officers. It later fought in the East African theatre. Indian Expeditionary Force – D which served in Mesopotemia was the largest contingent of Indian troops sent overseas with 400,000 combat and non-combat troops. Considerable numbers of soldiers from the Punjab fought in this theatre. The 20th Punjabis (now 6 Punjab Regiment), 22nd Punjabis (now 7 Punjab Regiment), 24th Punjabis (now 8 Punjab Regiment), 25th Punjabis (now 9 Punjab Regiment), 26th Punjabis (now 10 Punjab Regiment), 31st Punjabis (now 14 Punjab Regiment), 62nd Punjabis (now 1 Punjab Regiment), 66th Punjabis (now 2 Punjab Regiment), 76th Punjabis (now 3 Punjab Regiment), 82nd Punjabis (now 4 Punjab Regiment), 84th Punjabis, 89th Punjabis (now 1 Baloch Regiment), 90th Punjabis (now 2 Baloch Regiment), 52nd Sikh Infantry (now 4 Frontier Force Regiment) fought in the Mesopotamian theatre. The 21st Cavalry (now 11 PAVO Cavalry), 22nd Cavalry (now 12 Cavalry), 13th Lancers (now 6th Lancers) and the Guides Cavalry also fought in the Mesopotamian theatre. The Indian army suffered the largest number of casualties in this theatre; 11,000 men were killed in action, 4,000 died of wounds, more than 12,000 died of sickness, 13,000 were missing in action or Prisoners of War (POW), and 50,000 were wounded. Indian Expeditionary Force – E fought in Egypt and Palestine. The 20th Punjabis (now 6 Punjab Regiment), 27th Punjabis (now 11 Punjab Regiment), 28th Punjabis (now 12 Punjab Regiment), 91st Punjabis (now 3 Baloch Regiment), 92nd Punjabis (now 4 Baloch Regiment), 51st Sikh Infantry (now 3 Frontier Force Regiment), 53rd Sikh Infantry (now 5 Frontier Force Regiment), 56th Rifles (now 8 Frontier Force Regiment) and 59th Scinde Rifles (now 1 Frontier Force Regiment) were part of this force. Before the war, recruiting was done by “direct enlistment” whereby a soldier brought a relative directly to the regiment or by “class recruitment” in which recruiting officers enlisted only men from certain classes. Traditional recruiting continued during the first two years of the war, but it could not cope with the rapid expansion needed to meet war-time demands. In 1917, a new territorial system was introduced, and recruiting officers were instructed to recruit men from all classes in their administrative districts and divisions. The Indian Army, like all forces in the conflict, suffered terrible losses. More than 37,000 Indian soldiers were killed in action of which 12,900 came from the Punjab along with more than 20,000 wounded from the province. The Punjab Frontier Force, recruited from the Punjab and the NWFP, suffered casualties of 171 British offices, 122 Indian officers and 3,425 men. Many families from the Punjab and families sent several members to serve and fight around the world. Sharaf Khan of Jehlum sent six sons, one grandson and three nephews to the war, and when Fateh Din of Rawalpindi lost two sons in the war he enlisted his remaining son. A Hindu widow of Rawalpindi, Lal Devi, enlisted six sons. Some communities made similarly striking sacrifices: Narra; a small village in Attock inhabited by Pathans had 843 men serving in the army while Dhulmial in Jhelum with a total male population of 1,200 sent 480 men to the army. Pathan enlistment presented the Indian Army with certain challenges during the course of the war. Recruiting of trans-frontier Pathan tribesmen was halted in 1915 following the desertion of some Afridis on the Western Front and the reluctance of some Pathans to fight the Turks as fellow Moslems. In 1914, there were 5,437 trans-frontier Pathans in the army, almost all in combat formations. A further 1,200 Afridis and 375 Orakzais enlisted before trans-frontier Pathan recruitment was stopped. Another 1,600 trans-frontier men were enlisted in labor units. In February 1916, the army’s Adjutant General issued an order that trans-frontier Pathan soldiers and new recruits could take voluntary discharge; 65 of 208 trans-frontier Pathans serving in the Peshawar Division choose to leave. Nonetheless, when the war ended, there were still 3,090 trans-frontier Pathans proudly serving in the Indian Army. The most notorious case of desertion involving a Pathan soldier was that of Jamadar Mir Dast Afridi of the 58th Vaughan’s Rifles, who crossed over to the Germans in France. Disaffection sometimes troubled entire units. The 130th King George’s Own Baluchistan infantry (now 12 Baloch Regiment) was in Calcutta preparing to be deployed overseas. A Mahsud sepoy shot the battalion’s second-in-command, Major Norman Anderson, who later died of his wounds. The battalion was sent to Burma where some of the men of the Pathan companies mutinied. Subsequently, 200 soldiers were court martialed and two executed. The battalion was rebuilt with the remaining sepoys and two companies of the 46th Punjabis, and later fought in East Africa. There was also trouble in the 15th Lancers in Mesopotamia. Two Multani Pathan squadrons refused to fight the Turks close to holy Muslim sites while insisting that they were willing to fight in any other theatre. The unit had served in France without any problem. Trouble was not confined to Pathan units. Four Musalman Rajput companies of the 5th Light Infantry mutinied in Singapore. The rising was suppressed and 37 NCOs and men executed after summary trials. Several factors accounted for the wavering of a few trans-frontier Pathan soldiers. Religion was the main factor when Ottoman Turkey entered the war on the side of the Central Powers. Despair, war fatigue and sheer instinct for survival in such a great conflict was common in all the armies involved. Trans-frontier Pathans had an unusual advantage, however, as their homes were outside direct British administrative control. If a trans-frontier Pathan could cross over to the Germans in France, there was a chance he could get back to his home via Afghanistan and live unmolested. This option was not available to soldiers living within British controlled areas; even if a deserter managed to come back alive, the justice system would apprehend him and exert punishment for desertion. Pathan tribal dynamics were an additional complication. Units traditionally were based on a tribe and clan basis, and if a unit composed of a particular tribe or clan suffered large-scale casualties it could significantly change the balance of power back home where tribal feuds were endemic. The Malik Din Khel clan of the Afridis joined the army while the Zakkha Khels were not keen on military service. Active service in the Indian Army in the decades before 1914 consisted mainly of frontier campaigns that were not particularly bloody in terms of casualties. In the industrial-scale slaughter on the killing fields of France or Mesopotemia, it was possible for an entire Malik Din Khel company to be wiped out in a matter of hours or days. 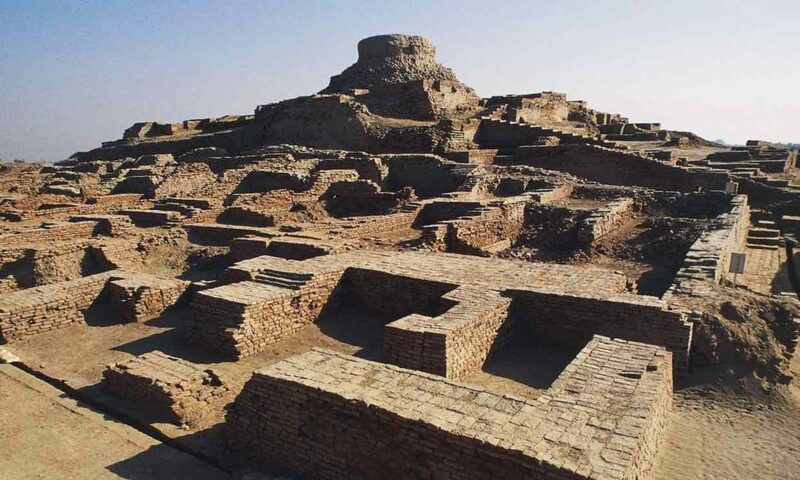 This could have a significant impact on the local power balance on their home turf because it would mean the Malik Din Khels could not muster enough fighting men against rival clans. Despite these problems, trans-frontier Pathans fought bravely in all theatres. Afridis were the first Indian troops to enter the trenches in France and draw first blood. Some of the most daredevil attacks on the Western Front were performed by trans-frontier Pathans. On one occasion after many unsuccessful frontal attacks on some German trenches, a sapper officer, Capt. Acworth, and eight Afridi volunteers mounted a flanking attack, clearing the way for a successful assault. Four of the Afridis received the Indian Order of Merit (IOM) and four received the Indian Distinguished Service Medal (IDSM). Trans-frontier Pathans, especially Afridis, won many gallantry awards. The sole Victoria Cross winner from the NWFP was a Malikdin Khel Afridi, Subedar Mir Dast of 55th Coke’s Rifles attached to 57th Wilde’s Rifles. Out of four Military Crosses won by men from the NWFP province, three were awarded to Afridis: Subedar Major Arsala Khan Malikdin Khel Afridi of 57th Wilde’s Rifles; Subedar Gul Akbar Malikdin Khel Afridi of 24th Punjabis; and Jamadar Hawindah Kambar Khel Afridi of 58th Vaughan’s Rifles. The sole NWFP winner of the Indian Order of Merit (IOM) 1st Class was a Mahsud, Jamadar Ayub Khan of the 124th Baluchistan Infantry. Out of 61 IOM 2nd Class winners from the province, 23 were won by trans-frontier Pathans. The most decorated NWFP native officer, Subedar Major Arsala Khan of 57th Wilde’s Rifles, (now 9 Frontier Force Regiment of the Pakistan Army) was a Malikdin Khel Afridi from the independent tribal area of Tirah. He won the IOM in the 1908 Mohmand expedition, an IOM and MC in France and an OBI in East Africa. Men from areas now comprising Pakistan, especially Punjabis and Pathans, fought all over the globe. In doing so many were part of a military tradition that preceded and continued after the 1914-18 conflict. One case of a century of uninterrupted service over five generations highlights this tradition. Risaldar Altaf Hussain Shah of 36th Jacob’s Horse of Kohat died in August 1918 in Egypt. The regiment’s British officers took care of his son, Pir Abdullah Shah, who joined the 14th Scinde Horse as a commissioned officer and fought in the Second World War. In 1947, when his regiment was allotted to India, he joined the 10th Guides Cavalry of Pakistan. His three sons; Brig. Gen. Hassan Shah, Maj. Taimur Shah and Lt. Hussain Shah joined the 10th Guides Cavalry. Hussain Shah was killed in action in the 1965 Indo-Pakistan war. Pir Abdullah Sha’s grandson, Lt. Col. Pir Israr Shah, and his great grandson, Capt. Zarrar Shah, also served in the Guides Cavalry. Alexander Davis. The Empire at War: British and Indian Perceptions of Empire in the First World War. Thesis for Bachelor of Arts degree, University of Tasmania, October 2008. The author wishes to thank Lieutenant Colonel Zahid Mumtaz for providing details of family of Colonel Pir Abdullah Shah. This article was originally published in Commemorative Edition November 1918 – November 2018 of Durbar: Journal of Indian Military Historical Society. Volume: 35. No. 2. VijayVan, the British Indian army ultimately defeated the Ottomans. And won WWI. The British Indian Army won WWI and WWII. It was the best army in the world. Al Kut is a very interesting place, one of the centers of human civilization. Wasit could have a booming tourism business. They may still. Many Indians, Iranians, Europeans, North Americans, Chinese, Japanese, Koreans would visit. Inshallah this will happen very soon. And Wasit will gain some economic prosperity. Wasit can take pride that their very own 28th Bde 8th IAD would help win the Iraqi war. This brigade would later be expanded into the 14th Iraqi Army Division. Maybe an article on Kut history could be interesting. They aren’t mainstream Sumeria. But their actual origin in controversial and hidden by the pages of history. Al Kut province (now called Wasit) Iraq was a very anti Saddam place. The US Marines quickly handed the province over to other countries in the coalition in 2003 (who in turn reported to the Poles). In 2003 Poland led a multinational Corps that was in charge of the upper south or 1/3 of Iraq. Later the Georgians (former Soviet) assumed responsibility of Wasit. Because it was quiet and pro Iraqi Government and pro Iraqi Army . . . nobody cared about Wasit. Wasit got few resources and was ignored. The 8th Iraqi Army Division gradually assumed control of Wasit from the Georgians. They stationed their 4th brigade (later remamed the 29th Brigade) in Wasit. Later since Wasit was quiet and the Iraqi Army badly needed 8th IAD 28th Bde elsewhere, they were redeployed elsewhere. In 2007 they were sent to Basrah to replace 10th IAD 1st Bde (later renamed 10th IAD 36th Bde). 36-10 IAD had been the worst brigade in the worst division in the Iraqi Army. They English had done a horrendous job training and advising them (both the brigade and division). 36-10 IAD was sent to Wasit for the Georgians to “fix” them. The Iraqis then assumed control of Basrah from the English. When Russia invaded Georgia in 2008, the Georgians returned to Georgia. The Iraqis were able to manage Wasit on their own. When Mookie made waves at the end of March 2008, a few of his groupies and more specifically Khamenei militas tried to fight the ISF in Wasit. The Iraqis smashed them in Wasit within days. And Wasit was quiet and ignored again. [The Iraqis defeated practically all of Khamenei’s militias across Iraq in two months of tough fighting]. It is fascinating that the British Indian army did a much better job in Iraq than the English did 2003-2008. The English were a laughing stock for Iraqis, the Iraqi Army, Prime Minister Maliki. I could look up old notes, but the Iraqis (I mean their nominal Iraqi allies) made up many names for the English. One of of them was turtles. The English soldiers would move very slowly, unlike the Iraqi Army. The English soldiers had excessively heavy gear. And in some cases they were just slow. PM Maliki made a speech about the English in 2008 that I call the snickering speech. Maliki tried to explain the English soldiers were not as brave as the Iraqi Army and preferred to run away rather than fight [not that he was wrong.] The English soldiers lacked the commitment to the cause that the Iraqi Army had. The English soldiers didn’t believe. The English soldiers were also racist, having the hard bigotry of low expectations. The English trainers and advisors didn’t think the Iraqi Army would amount to anything. After all they were darkies. By contrast a lot of English admired Al Qaeda and the “Iraqi resistance”. Which is why the English division of the Iraqi Army (10th) and the English advised brigade (1st Bde 10th IAD) was the worst brigade in the division. When the English saw other units of the Iraqi Army pour into the deep south in December 2017 and 2008 . . . they opened their mouths and looked at them in complete shock and disbelief. They couldn’t believe that inferior darkies could be so professional and so good. Could have such initiative. They kept asking . . . are these Iraqis? And the Iraqis were right. What happened to the English military esprit de corps? What happened to English competence? How did the English soldiers become so racist? The British Indian Army was a wonder of the world. As many said so often, the best army in the world. One that every Indian can take enormous pride in. By contrast the English military in Iraq 2004-2008 was a joke. Looks like in the aftermath of the Kit disaster many Indian troops switched sides to Ottoman. However Ottoman was defeated by the British advance from Egypt Palestine, Lebanon and Syria. Then Mesapatomia became easy peasy. In the victorious army also, there were BI units, though not exclusively. British had as much trouble controlling Mesapatomia, called Mes pot, as the US army post 2003. They faced resistance from both Shias and Sunnis. Post ottoman, West Asia has been on the boil till date. Indian troops joined the Ottomans? Why would Indian troops join Turks so far away from home? 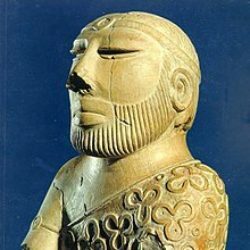 How did the various Iraqi factions breakdown in the fight between the Ottomans versus British Indian army and British armed forces? Later on, after the Ottomans surrendered Iraq was governed by the British Indian Army. At that time the Shiites, Najaf Marjeya and Kurds fought the British Indian Army. The Sunni Arabs mostly sided with the English and were rewarded with absolute power in the country despite being perhaps 18% of the population. “They faced resistance from both Shias and Sunnis.” We don’t agree. In 1979 the great Iraqi civil war broke out. In 2003 a US led international coalition took sides in this civil war and put the Shiites, Kurds and their Sunni Arab allies in power. However, after the transition of sovereignty to the Iraqi Government in 2004 . . . violence in Iraq dramatically increased. The civil war flared up (with Shiites and Kurds and Turkmen largely backing the Iraqi government). And Iraq found herself in a proxy war with over 15 countries, including Pakistan. The general view of the MNF (Multinational Forces) (unanimously created by the UNSC in 2003) was that Iraq was sovereign and that this was Iraq’s problem. Winning the war was Iraq’s job, not the MNF’s job. There was no major effort on the part of the MNF to train and equip the ISF until 2006. The war in Iraq was Iraq’s war, albeit waged with international help. In this sense quite different from what the British Indian Army dealt with during WWI and in the 1920s. A better parallel would be the US war of independence 1775-1783 when France/Netherlands/Spain aided the US. WW1 was imperial war where some powers (especially Austro-Hungary and Germany) tried to rearrange and conquer more colonies from others. AusHun/Ger for several years tried to provocate the war and to open for themselves the path to Middle East resources. Also they tried neither first nor last ‘drang on osten’ and get Siberian resources. British tried to preserve their colonies, to control Bosfor /Dardanelle and block the Russian access to warm seas. My opinion is that there is nothing for India/Pakistan/Nepal to be proud regarding their role in this war. It wasn’t their war, they were fighting against own national interests for British royal family’s new colonies, Rothschilds, Churchill and Brit’s fat asses. It is similar to Australia where they celebrate Gallipoli battle when about 8000 Aussies died. What young country guys were looking for in the middle of Turkey with British officers at their back shooting everyone who tried to retreat? For many, it is normal to go on the other side of the world and fight locals for someone else’s wealth. Poor people were killing other poor people for greedy interests of riches. British Empire conducted a genocide in India, killing by starvation almost 85 million of people. Some of them were descendants of my ancestors. How many others died in uniforms for the English ruling class? There is no place for any pride. So as in Australia, it is just the enormous stupidity. Everyone should protect their own country without going outside of their borders and attacking other countries. Serbia was also very involved as the first victim of the WW1. They were attacked by AusHun/Germany from the front and in the middle of the war, backstabbed by Bulgarians and Albanians. After several wins known by the whole world, they had to retreat in front of much stronger and better armed enemies. The decimated army led by the king and civilians who were escaping the genocide were crossing for one month without any food snowy Albanian mountains to reach the Greece. Hundreds of thousands died in the snow and killed by Albanian tribes. One third of army came to the coast. The exhausted remnants of the former army stayed in Greece for 2 years until was open Thessaloniki front. In only 12 days, Serbian army crossed mountains again and by fighting enemies on the way, running passed 800 km and liberated Belgrade. Serbia in this war lost 33% of the total population, including 54% of male population. Thanks VijayVan. F.Ferdinand made a provocative visit to Serbian territories occupied and illegally annexed by Austrians in 1908 on the day of national morning (Vidovdan). Pro-(future) Yugoslavian youth (Serbs-Orthodox, Serbs-Muslims, even Croats Catholics) in today’s Bosnia organised assassination. Gavrilo Princip who killed him had only 17 and could not be immediately convicted with death penalty but they killed him couple years later in a prison. Just to finish previous…Serbia was on winning side, decisively contributed to demolishing two empires, AusHun and Germany (plus 3rd – Ottomans’ empire in 1912). It could chose its new borders, include Serbs from former AusHun empire and create strong country. Croats and Slovene also asked to be accepted into new country because they knew that they would be assimilated in post-war Austria and Germany. It was a huge mistake. Instead of creating Serbian country Serbs accepted the creation of Yugoslavia. Croats and Slovenes were fighting before for previous empire against Serbs. As a cancer in Serbian body, they started working on destroying Yugoslavia from the day 1. Cominterna also had the same goal. Vatican, which was a patron of former empires, also. New Austria, Germany, Hungary, too. In the WW2, Croats under Germany’s protection committed horrible genocide and killed more than one million Serbs in several dozens of conc- lagers. Again, this time Yugoslavian army (with 90%+ of Serbs in this army) won against Germany (and their allies – Italy, Bulgaria, Hungary, Albania, Romania!!!). Somehow, after the war they started life together, communist took the power and suppressed the historical truths from the war. There was a silence for a decade or two when Croats and Slovenes again started destroying the state for which they were begging in 1918 to be accepted. And we came to 1990 when everything started again…. I have always admired Serbia for standing up to 4 empires at the peak of their brutal power, fought them off in quick succession: Ottomans, Austro-Hungarian, Nazi and Stalinist. That was done at a huge human cost. have not winced nor cried aloud. It was also the 5th empire, US in 1999. When Serbia resisted Nazi and made only free territory in Europe, Hitler was so furious and decided to annihilate Serbs and their history. They started bombing Belgrade, especially libraries with ancient documents and residential areas, killing 100 Serbs for one German soldier. They gave a green light to Croats to conduct the genocide. But this campaign caused a delay in attacking SSSR. In these 4 months, Russians moved military industry to Ural and started intensive arms production. Germans lost a period of warm weather and stacked in a Russian winter. Even they initially penetrated the Russian territory it was just a question of time when this initial delay would show its consequences and ultimately, after Stalingrad, they lost the war. For US (1999) it was the similar case. They tried to discipline Serbia as a lesson for others who were thinking to resist. On the line was NATO credibility. Redirecting attention from Monica Lewinski and impeachment was also a reason. 1000 modern planes bombed Serbia (600×300 km) for 3 months and tomahawks from Mediterranean could not do anything. Because they started bombing bridges, hospitals, schools, electricity, water supply and throwing uranium bombs. Now, they are pressing Serbia to recognise independent Kosovo to abolish them of any guilt and justify their bombing. But what is important? One American official said – while we unnecessarily were losing time and energy with Serbs for 10 years, Russians and Chinese silently accelerated their military development and in many aspects overtook the US. As a result, we now have a multipolar world. Milan, the British Indian Army fought on the side of the glorious Serbs and freedom in WWI and WWII. Together they defeated the axis. These were two of India’s and Serbia’s finest moments. The Axis was wrong to attack Serbia in WWI and WWII. WWI was won in significant part by Serbia, British Indian Army, Greece, Romania, USA, France and UK. Italy and Russia were on the winning side but managed to lose anyway. Russia surrendered to the Axis. Have the Serbs forgiven the Turks?